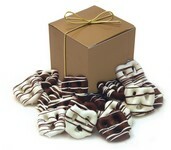 Chocolate Dipped Pretzels - So many ways you can use them! 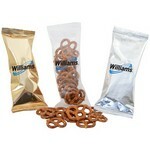 Imprint your 4 Color logo on a round label when you order our Individually wrapped pretzels. 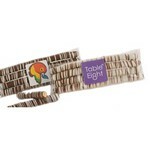 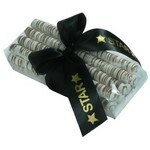 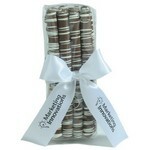 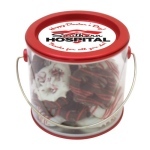 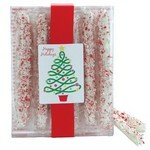 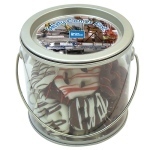 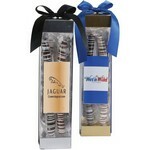 These chocolate covered pretzels make wonderful tradeshow give aways and are good for small marketing budgets. 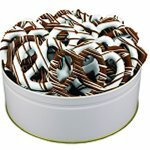 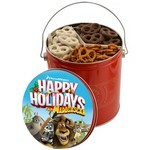 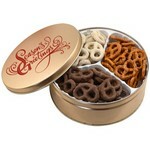 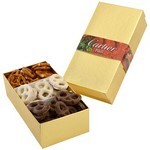 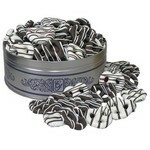 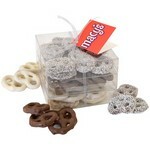 When you need a small token of appreciation - chocolate covered pretzels in a variety of packaging is the way to do it. 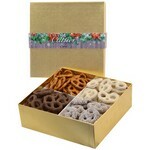 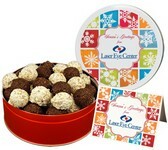 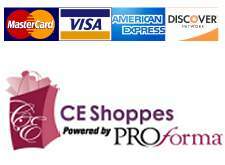 You can choose from colorful boxes with ribbon or acetate rounds with your logo imprinted. 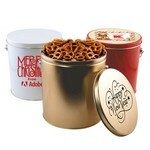 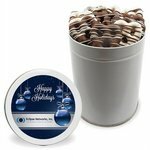 As a corporate gift, Larger packaging with your logo is a grand way to give thanks to employees and customers alike. 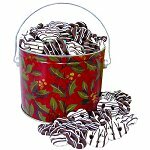 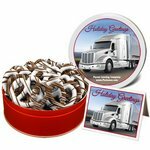 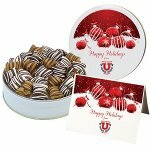 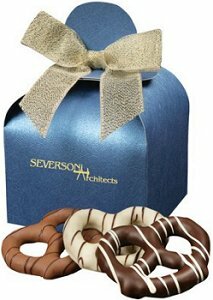 And don't forget holiday gifts - Gourmet Chocolate covered Pretzels are the way to be remembered during this holiday season! 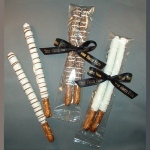 Gourmet Pretzels are great for tradeshows, meetings and conventions, events and outings, customer and employee appreciation, sales calls and as an addition to gift baskets!